Following up their 2015 release of Verdun, Developers M2H and Blackmill Games have moved their attention to the Eastern front of the Great War with Tanneberg. They have brought with them intense attention to detail, that helps immerse players into the drab although tense combat of WWI. Tanneberg offers three modes, however, the primary focus of the game is its Maneuver mode. This conquest style mode pits 64 players against each other in two teams. Teams then battle to secure key points on the map while diminishing each other’s forces. 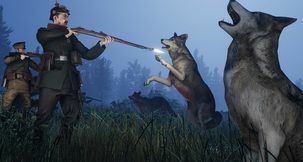 The remaining modes, Attrition and Rifle Deathmatch, are fairly basic in comparison lacking the complexity of Maneuvers’ strategic based gameplay or the diversity of similar modes in other shooters. This makes them feel like last minute add-ons more than fleshed out additions. 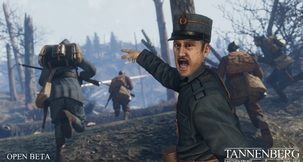 There are six fairly large maps and six different squads to play as such as Russian, Roumanian, Austro-Hungarian, German and Bulgarian troops. 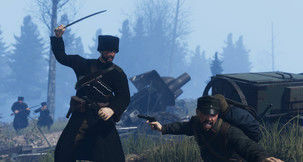 The squads have been recreated with historically accurate uniforms and gear while the environments are inspired by the First World War’s eastern front. They include the hilly forests of Galicia, trenches on Mount Cosna, and Polish village subjected to scorched earth tactics. The well-designed maps establish a strong foundation for this WWI set title. They set the mood and create an immersive experience. Fields and forests marred by the war create for a diverse topography. The weather system can change from match to match as well, which makes matches more dynamic. Small details such as the debris and bodies that litter the battlefield work with the excellent sound design to immerse players. Crossing no man’s land feels suitably tense as you sprint from cover to cover watching the hilltops or treeline for signs of the enemy. Although it is nothing compared to the tension of trench warfare, which the developers have managed to make appropriately uncomfortable as the high walls and tight corners make the entire endeavour feel as futile as it is menacing. On the surface, Tanneberg appears to be another war FPS, but at its heart, it is a tactical shooter. The game rewards teamwork with satisfying combat and meaningful progress within the Maneuver mode. To reinforce that premise it also dissuades players from playing the lone game either through executing players who refuse to fallback when commanded or simply by creating an environment that is very challenging to make progress alone. Success requires both cooperation amongst teammates and a strategic approach to objectives. The game facilitates that teamwork by allowing communication not just over coms but also via the quick and simple non-verbal commands. This allows players to send commands such as attack, defend, retreat and so on, quickly to one another. Teams are broken into squads of four players, which further emphasizes the strategic possibilities Tanneberg allows for. The squads fall into one of three classes, Support, Assault, and Infantry each with its own traits and advantages. Infantry rely on their rifles, which allow them to fight at longer ranges, they also have the ability to call in artillery. Assault squads are heavy hitters, packing grenades and the ability to call in gas. Personally, I found the Support class is of particular advantage in the battle for their ability to be mobile supply carriers. Securing and controlling sections of the map also provides teams with bonuses. Ammunition and artillery sectors will reduce the cooldowns of their associated abilities by 10%, which means players can utilize ammo crates and call in artillery strikes more frequently. Recon sectors will increase how long spotted enemies remain visible on the mini-map by 10% and reinforcement sectors will reduce respawn times by 10%. 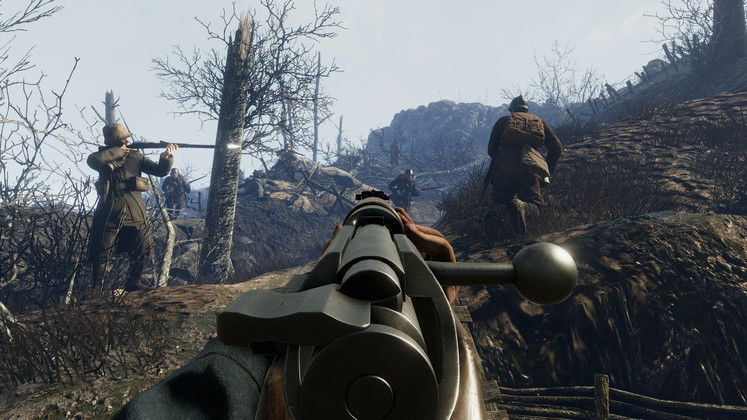 The WWI setting reinforces the necessity for strategic gameplay because its slower weapons require methodical application and accuracy. Damage leans toward the realistic with weapons dispatching enemies in no more than two hits usually. Grenade and damage indicators are minimized and friendly tagging is not immediate, which all add to the chaos of the battlefield. These challenges favour a tactical approach rather than the spray and pray tactics of modern shooters. 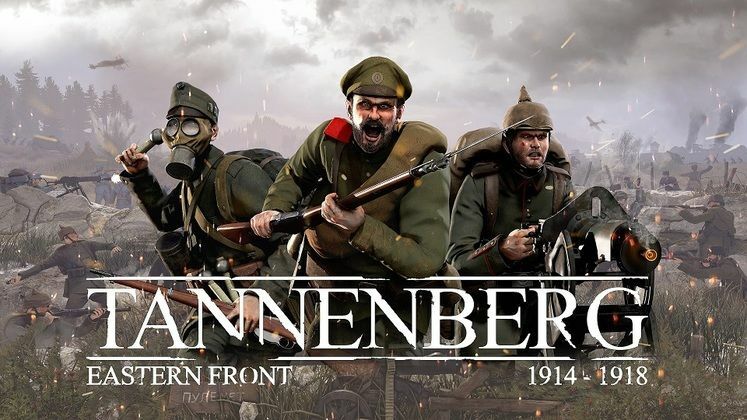 That is not to say Tanneberg’s gameplay isn’t fast-paced, while Maneuver games can be lengthy there is good pacing, the exchange of territory back and forth conveys the futileness of WWI while making it rather sporting. M2H and Blackmill Games have clearly worked hard to recreate historical accurate squads and weapons. This goes right down to the unique fire and reload animations for over 50 weapons. Uniforms are accurate, although I’ll admit I’m not up to date on the tactical fashion of 1914. The battlefields of Tannenberg are well designed albeit somewhat drab. The pallet is largely browns and greys and occasionally snowed upon whites, with the only pops of colour coming from the dead mustard gas. It is a bit too monochromatic, however, this can largely be forgiven as it also serves to reinforce the dismal WWI setting. Where Tanneberg really shines is its sound design. 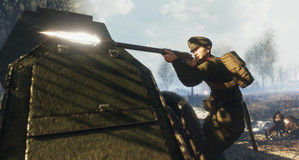 Thought has been given to aspects of battlefield sound effects, from the ambient sounds of distant gunfire or artillery, to the unique sounds of firing each weapon. Footsteps change over ground type, your soldier becomes audibly out of breath, your breathing even changes once you have donned your life-saving gas mask. The sound design brings the battlefield to life. 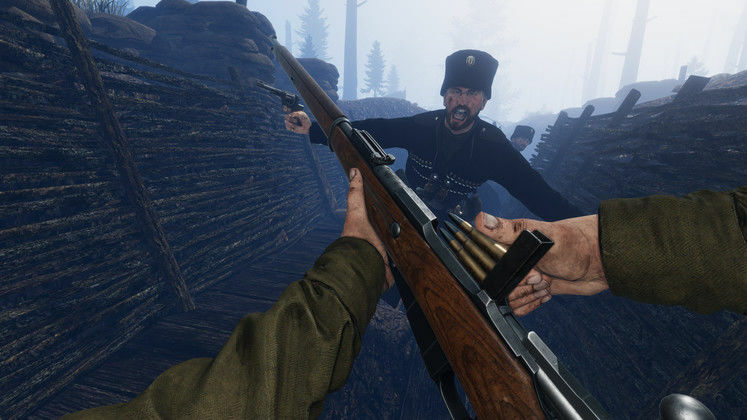 The indie development team have painstakingly recreated the conflict of WWI’s eastern front. The detail paid towards combatants, weapon animations, and sound effects create an immersive experience. Tanneberg’s Maneuver maps are large and offer a good degree of variety in terms of topography and content, although while they look good, the colour pallet borders on monochromatic at times. This can be somewhat forgiven as it adds to the dreary image of WWI combat. The harrowing experience of trench warfare. 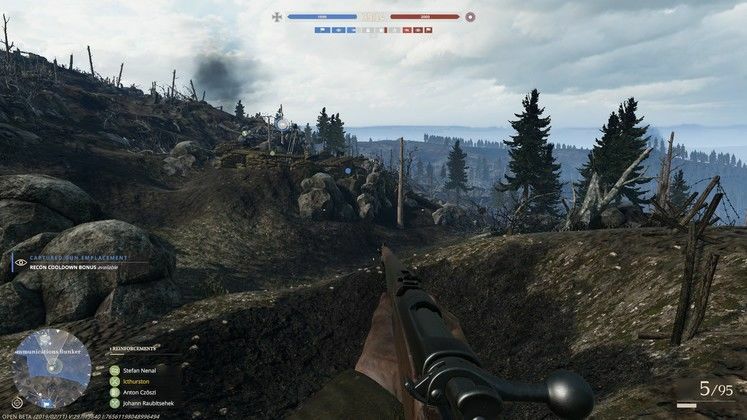 While navigating the woods and fields of the game map can be challenging, constantly watching the hilltops or treeline for enemy troops, nothing compares to trench warfare in Tanneberg. The high walls and tight corners create a unique tension where success feels truly satisfying. Fantastic attention to detail in the design of weapons and troops. Great Sound design that helps create an immersive experience. Not enough variety in gameplay. From catching pocket monsters to planning the perfect assassination, I enjoy all things gaming and am always excited to share that passion.